Can you spot the repeated spelling mistake in this, from Saturday’s Guardian magazine section? Yes, it ought to be mycorrhizae and mycorrhizal. The h goes after the rr. How do you know the words must be misspelt, even if you’ve never come across them before? Answer: because they’re of Greek etymology, and Greek double rr is always followed by h. Think of catarrh, myrrh and diarrh(o)ea. So, of course, is Greek word-initial r: we write rhapsody, rheostat, rhesus, rhetoric, rheumatism, rhinoceros, rhizome, rhododendron, rhombus, rhubarb and rhythm, all being words derived from Greek; and there are no Greek-derived words in English that begin with plain r.
In Wikipedia we read that a mycorrhiza is a symbiotic association between a fungus and the roots of a vascular plant. Why do Greek words have these apparently superfluous h? It can be traced back to an allophonic fact about Ancient Greek /r/, namely that it was voiceless in word-initial position and when geminated. Allen goes on to say that it can be shown to have been a matter of voiceless r̥ (rather than a cluster rh) by the fact that it was borrowed into Latin on the one hand as rh but into Armenian on the other hand as hռ hṙ, thus hռետոր hṙetor, and similarly in Coptic. When I did Greek at school, the transition from the fourth form into the fifth was marked by requiring us thenceforth to write the proper polytonic accents on our Greek, which we had until then been allowed to ignore. So every initial rho had to be written with a rough breathing, and every doubled rho with first a smooth breathing and then a rough. The Greeks themselves did not bother with breathings and accent marks until the Hellenistic period. They first appear in papyruses in the second century AD, and then only sporadically. It seems a bit silly that now, well over a thousand years later, we have to go on including this unnecessary letter h after r in English spelling: but that’s the power of tradition. The Greeks themselves officially abandoned polytonic orthography, including the breathing marks, in 1982. The rough breathing, in the shape of the letter h, lives on only in English, French and German. If the second part of a compound word in Greek began with r, the consonant was automatically doubled. That’s why we have one r in rheostat but two in diarrhoea. 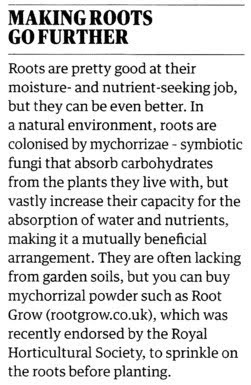 And one in rhizome but two in mycorrhiza. Of course another interesting fact in this connection is that Ancient Greek is, in this respect, exactly like Welsh (and to some extent Breton), where initial and double *r did exactly the same thing (traditional historical phonology lumps these two positions as 'fortis'). A minor difference is in the compounds, since in Welsh the second part of a compound is normally lenited, so no [rh] there. But I guess you could write this down to a difference in prosodic structure (apparently Greek compounds consist of two minimal prosodic words, though I don't know what other (counter)evidence is out there). I occasionally find myself pronouncing English words containing "rh" with a voiceless aspirated retroflex or alveolar non-sibilant fricative. When that starts happenning, I know it's time to take a break from phonetics. The doubling wasn't actually automatic. It didn't usually happen after diphthongs, and it was a bit erratic in other contexts as well even in the Attic period. Strictly speaking, according to Herbert Weir Smyth, 1920 §80 a. "This ρρ, due to assimilation of σρ (ἔ-ρρει, καλί-ρροος), or Ϝρ (ἐρρήθη was spoken), is strictly retained in the interior of a word; but simplified to single ρ when standing at the beginning, i.e. ῥέω is for ρρέω." This is rather an odd way of putting it, implying that ρρέω is attested, or that it would have made phonological or phonetic sense, but the fact that initial ῥ is a reflex of σρ is I suppose no more surprising than that we get the rough breathing as a reflex of σ in any other place. Armenian and Coptic having hr- may or may not mean that Greek still had hr-, and Latin rh- represented a later r̥, as hw- became wh- in English. I don't know about the digamma, but I guess the reflex of Ϝρ was treated analogically once the allophony took the form that /r/ "was voiceless in word-initial position and when geminated". It doesn't seem that it can have occurred in initial position at all before that. "In composition (εὔ-ρροος) single ρ is due to the influence of the simplified initial sound." In that case why was the simplified initial sound not adopted passim? Wouldn't the eupphony of Greek syllable structure have had something to do with it? Spanish, too: initial /r/ is always written r, which elsewhere represents /ɹ/. "If the second part of a compound word in Greek began with r, the consonant was automatically doubled." Something very similar happens in Spanish, which has "Costa Rica" but "costarriquense"
Portuguese also has 'Costa Rica' but 'costarriquenho'. Note also the doubled r in Spanish 'Bielorrusia' and Portuguese 'Bielorrússia'. In both Spanish and Portuguese, intervocalic single r is a flap /ɾ/. The initial r, written 'rr' between vowels, is an alveolar trill for normative Spanish and some dialects of Portuguese, but for most Portuguese speakers is instead an uvular/velar trill/fricative or even [h] or what have you. So this sound is actually voiceless for a lot of Portuguese speakers. West Greenlandic Inuit (which is not Indo-European)also has devoicing of geminated sonorants, i.e. of all its sonorants, not just rhotics as in today's blog about Greek. And gemination occurs for different reasons, e.g. as phonemes meet across morpheme boundaries. Phonetic theory hasn't been very happy about this situation - expressions like "devoiced sonorant" or "voiceless sonorant" seem to contain a contradiction. Is a devoiced sonorant still a sonorant or has it become an obstruent? Are you sure you can hear any difference between a voiceless uvular rhotic and a voiceless uvular fricative? West Greenlandic does not have devoicing of *all* its sonorants—nasals are left voiced. The municipality of Ammassalik, the negating suffix -nngil-, and the negative imperative suffix -nnak all have voiced geminates.